Still reeling from that last Ealing carpet clean? If it wasn't performed by us, chances are it wasn't done well. 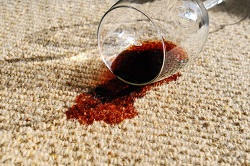 That's why we think you deserve a visit from our Carpet Cleaning Ealing carpet cleaning team. Fully trained and motivated by a generous wage, our W5 carpet cleaners have experience across all types of surfaces, including the most stubborn types of carpets that stains love to reside in. Book an appointment with us today on 020 8434 7152 and, once we've delivered an unrivalled service at the lowest rate locally, the only one residing in those carpets will be you. While it's no myth that modern upholstery is easier to clean than older seating furniture, our Ealing upholstery cleaning staff in the W5 area know that most homes contain one or two antique pieces of upholstery. It follows that such items insist on regular attention in terms of cleaning. Our upholstery cleaners will give you an Ealing upholstery clean at an affordable price. Moreover, our standard rate is not contingent on any extensive use of heavy duty polishing products like those often applied in restoring antique upholstery. In other words, you won't pay a single extra penny even if our use of products is many. Like it or not, it is your responsibility to arrange cleaning of the room you are so glad to be leaving. Most tenancy agreements require the tenant to restore the living space they are leaving to the original condition they found it in. What is a simple equation is a difficult task for many however, and we understand your reluctance at committing to that final clean. That's why our Ealing end of tenancy cleaning team at Carpet Cleaning Ealing want to do it for you at an affordable price. Our W5 end of lease cleaning company are popular among students for this reason. Choose us for your final end of tenancy clean, call on 020 8434 7152. With both regular and one-off cleans available, it has never been easier to arrange an appointment with our Carpet Cleaning Ealing domestic cleaning Ealing team. In understanding what is expected as W5 domestic cleaners, our staff were interviewed in person and each passed a practical cleaning exam before being handed work with us. With references checked and tests in English fluency completed as well, any given employee will be receptive to your demands, with such an ear for instruction reflected in our favourable customer ratings. You can trust us 100% in combing over your belongings carefully during that long overdue Ealing domestic clean. While other W5 house cleaning companies shrink at the prospect of performing a thorough house clean on an occupied home, our home cleaners pride themselves on getting to all those obscure areas in spite of furniture making it tricky. Our large team of W5 home clean operatives assigned across specific tasks will go out of their way to cover every crucial area, all within a matter of hours and at the best rate locally over 60 minutes. Specific tasks include – wood, glass and tile cleaning, appliance cleaning, skirting board cleaning, radiator cleaning, full bathroom cleaning, door cleaning, full window cleaning and cupboard cleaning alongside drawer and fridge-freezer cleaning whenever requested on 020 8434 7152. If you didn't know that our company's Ealing office cleaning services are proving popular among businesses in your immediate area, chances are you haven't got the memo yet. What better place to be reminded of the service delivered by our dedicated office cleaners than here. At once able to cite that which sets us apart from other commercial cleaners, our staff have performed an office clean W5 locally so often in recent times that logic guarantees their next clean as their best. We all know practice makes perfect so why not book our team's next assignment, before your rival company next door does. There are few things worse than peering across the street into an office cleaner than yours as daily guests marvel at their surroundings. Choose the best carpet cleaners company in Ealing. We deliver the most professional cleaning services in the W5 area at bargain prices. I first hired CarpetCleaningEaling upon the recommendation of a neighbour for carpet cleaning, but once I saw their standard of work I booked them to clean my upholstery and curtains too. And the best bit - they charge very affordable rates. 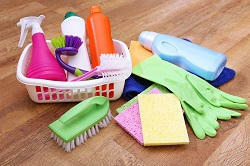 Domestic Cleaning Ealing is one of the best and most affordable cleaning companies I have used. Thanks so much for your help! You have been so amazing and I can't begin to thank you for all you have done. Great work! CarpetCleaningEaling have transformed my office. Before it was messy and a little dirty, but their hard work and skill has change everything for the better. The place is sparkling, clutter free and it is much more enjoyable to be there. They work hard and provide expert results. Ealing, Northfields, Acton, West Acton, South Ealing, Gunnersbury Park, South Acton, West Ealing, East Acton, Willesden, Harlesden, Northfields, Stonebridge, North Acton, Kensal Green, Neasden, Old Oak Common, Hanger Lane, Park Royal, Kew Bridge, Brentford, Syon Park, Alperton, Sudbury, Sudbury Hill, Wembley Central, North Wembley, Greenford, Perivale, Hanwell, Boston Manor, Chiswick, Gunnersbury, Turnham Green, Acton Green, Bedford Park, W3, W5, W13, NW10, TW8, HA0, UB6, NW10, W7, W4 and the rest of London as well. Description: Find out how easy your carpet cleaning in Ealing, W5 could be by hiring our professional team on 020 8434 7152 at prices cut in half. Copyright © 2015 Carpet Cleaning Ealing. All rights reserved.